Editor’s Note: Anyone born after 1970 should take the time to click on the links pretty funny stuff. Oscar Wilde said life imitates art. In our industry, technology imitates the imaginations of TV producers from the 60s, 70s and 80s. 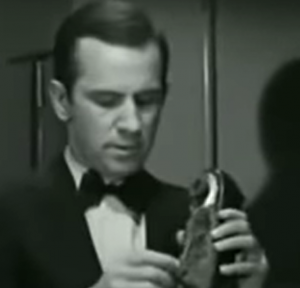 Maxwell Smart of Get Smart was the first to use a mobile phone – so mobile it was embedded in his shoe. 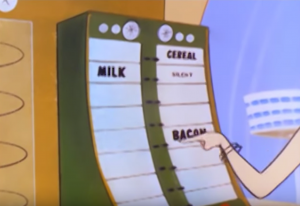 The Jetsons were the first to have a “smart house” and KITT from Knight Rider was the first intelligent car based on the “Knight Industries Two Thousand” (KITT – acronym and all) processor. Here we are heading into 2019 and expectations are that the number of mobile phones around the globe will pass the 5 billion mark; robots are being used in homes and enterprises, and based on the automotive industry’s transition from hardware to software-centric offerings — we are on the cusp of the intelligent car. AI and Machine Learning will be cornerstone technologies used to develop an intelligent and independent car, allowing autonomous vehicles to conduct and continuously learn how to do human-like activities. The car will soon be driving itself allowing people to do other things during the time they are being transported. Even imagine a pedestrian walking down the street and the autonomous car knows enough to flash the headlights – or blink his/her eyes – to let the person know it is safe to walk across the street. Also like the human body, imagine this car with software so sophisticated that the software itself detects anomalies, stops bad processes from causing the car to malfunction and seamlessly updates with new features and functionality — fixing itself like the human body heals itself. Similar to the realization on Get Smart’s mobile phone and the Jetson’s smart home, Aurora Labs believe that advances in AI and Machine Learning weaved into our Self-Healing Software solution will help make the vision of the intelligent self-healing car a reality.